Justin O’Dell appeared before the Federal 11th Circuit Court of Appeals on October 4, 2008 for an oral argument in the matter of Antonio Duscio, et al v. Al Hill, et al, United States Court of Appeals for the Eleventh Circuit, Case No. 17-13651-F. O’Dell & O’Neal is currently representing investors who have been defrauded in a Ponzi scheme related to the sale of life settlement policies and securities. 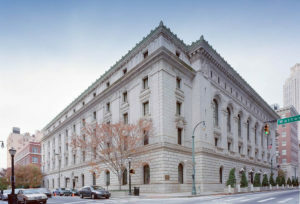 The appeal stems from an Order of the District Court approving the Receiver’s Motion to Approve Claims Process and Plan of Distribution by the United States District Court for the Northern District of Georgia. The Order approving the claims process and distribution plan was entered in a receivership proceeding ancillary to a Securities and Exchange Commission (“SEC”) action brought against Defendants for matters involving fraud and investment schemes, including Defendants’ business of selling interests in specific life insurance policies. Our clients are investor/victims in that scheme and claimants to the fund. The distribution plan sets forth a plan for the final distribution of Receivership assets, including the determination of investors alleged fictitious profits and proposal for the sale and assignment of certain life insurance policies owned by the investors. The determination of the ownership of our clients’ and other Direct Investor’s property rights and the decision that our clients and other investors would be required to pay back certain “fictitious payments” or be required to turn over their policy was made prior to any notice or opportunity to be heard and present meritorious defenses. The appeals centers around the lack of due process provided to our clients and other investors and their ability to have their claims heard. To listen to Justin O’Dell’s oral argument, click here.